Over the years, I have had a lot of practice backing travel bags for my boys. Of course, in the beginning I was awful at it. I wold always pack way more things then they would ever need, and would inevitably forget the things they wanted or needed most. Packing the perfect travel bag for kids is just as much about knowing your child's needs as it is anticipating what might be needed and what should be left at home. Check out this helpful list below of items that you should include when packing a travel bag for kids. -Activities: Bring along a few of their favorite activities such as games, electronics, and coloring books. Things like these that will keep them occupied during travel. We all know how kids can become very impatient, and if they are cooped up in a car or plane with nothing to do, it might cause some pretty upset kiddos. If you keep them occupied and having fun, it will be much more pleasant for them and you as well! -Food & Drink: You will definitely want to have some snacks and drinks on hand at all times! Babies and kids in general can get hangry so make sure you grab a few of their favorite things to eat. Remember to choose non-perishable items since you will be on the road. -Extra Clothing: Messes happen when kids are involved, especially if they are still in diapers. I still bring a change of clothes, even for my teenage children. My 15 year old will have a cow if he spills ketchup on his shirt and has to wear it around all day, so always pack a change of clothes in a travel bag for kids. -Baby Wipes: Baby wipes are absolutely essential in any of my bags, even if your kiddos are no longer in diapers they come in handy for a ton of things! If your kids need cleaning up after eating something, or a spill occurs, you can never be too prepared, so baby wipes are definitely an essential to keep on hand for me! -Let Them Help Pack: If you have kids that will throw a fit if you don't have exactly the right toy or snack that they are wanting at that time, I have a solution for you. Have your little ones help you pack the bag for themselves. Tell them that they can choose one or two special items that mom might have forgotten. Giving them a hand in helping to pack will make them excited about traveling, and less likely to complain about what is in their bag later on. 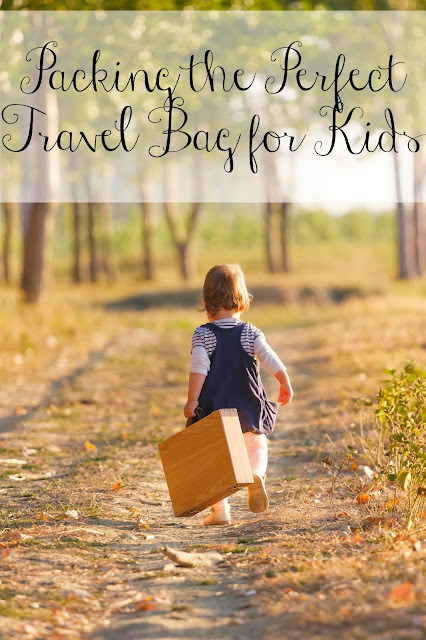 Bringing an extra bag for your kids when it comes to traveling is definitely an essential when we travel. It just makes everything so much easier to know that all of their things are located in one spot, and it helps to keep any disasters or meltdowns from occurring during the travel portion of the vacation. How do you make travel run smoother with kids? I believe that every kid need a special friend like iHippo. With it every trip gives entertainment and security.